Evolutionists claim that the vestigial organs in living things were inherited from their ancestors. 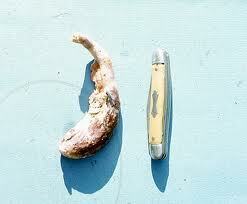 However, some alleged "vestigial" organs are not found in the species alleged to be the ancestors of human beings! ie the appendix does not exist in some ape species that are said to be ancestors of man. Apes possess an appendix, whereas their less immediate relatives, the lower apes, do not; but it appears again among the still lower mammals such as the opossum. How can the evolutionists account for this? H. Enoch, Creation and Evolution, New York, 1966, pp. 18-19.